Pregnancy is the most beautiful phase that a woman goes through.All the care in the world is needed during that time.Best of the food you eat,best of the routine you follow likewise also best of the products you use for yourself.That is majorly because you know that there is a life living inside of you.You want all the products you use to be toxin free and chemically safe too.I was sent products from this brand called the moms co. to try out and review and here is what I honestly feel about them. 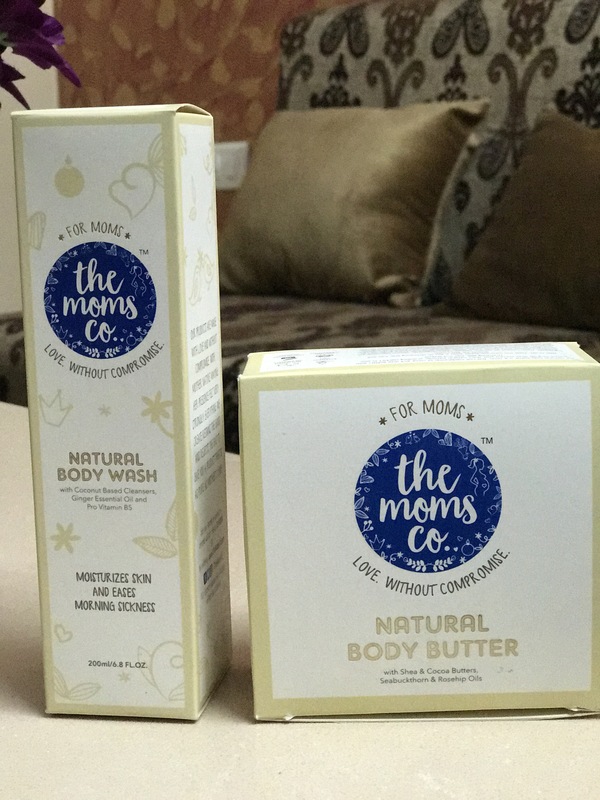 Firstly its a great initiative taken by the team at the moms co. to specially curate products that would be very safe for a pregnant woman to use.Secondly as much safe they are for women who are moms to be,they can be used post pregnancy too.That is also another phase where your skin needs the best of products to heal itself from the rigorous work it has gone through since the last 9 months. 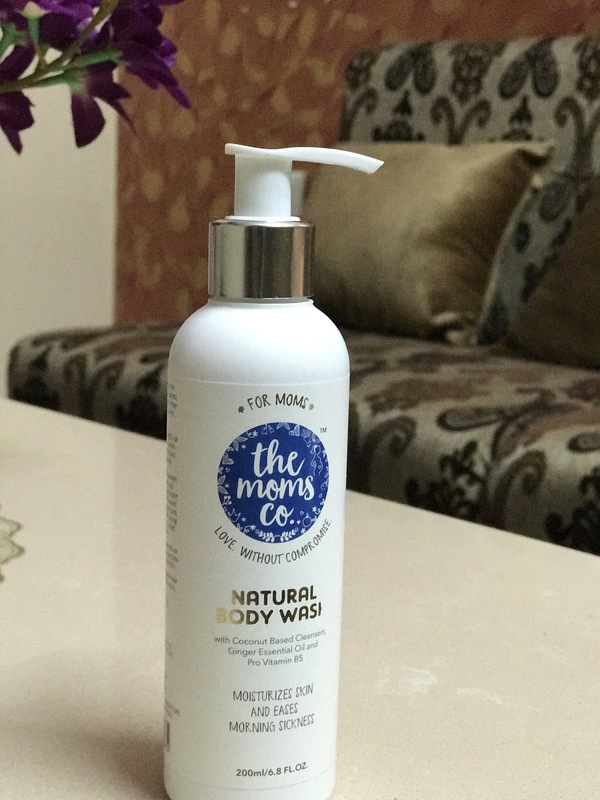 Their tag line says “Our products are made with love and without compromise with mother nature making her presence felt very strongly,Everything we create retains the good and rejects the bad to give you a product that is as pure as mother’s love. The first thing that attracted me was the packaging.Both the products were in cardboard boxes.The boxes had a very soothing colour theme of off white and gold whereas the logo had royal blue and white in it.The body butter came with a lid on top and to my surprise when I opened it there was another safety transparent lid inside. The body wash came in a sturdy plastic bottle with a pump which I absolutely love.A pump comes in very handy with products like body was. The body was is naturally scented and light weight.Usually body washes tend to dry out the skin but this kept my skin supple,I have super dry skin,just letting you know.This body was contains coconut based cleansers and natural moisturizer with some essential oils. The scent also stayed for an adequate amount of time post the shower .The pump as i said earlier made it very easy to control the amount of product i wanted to use. 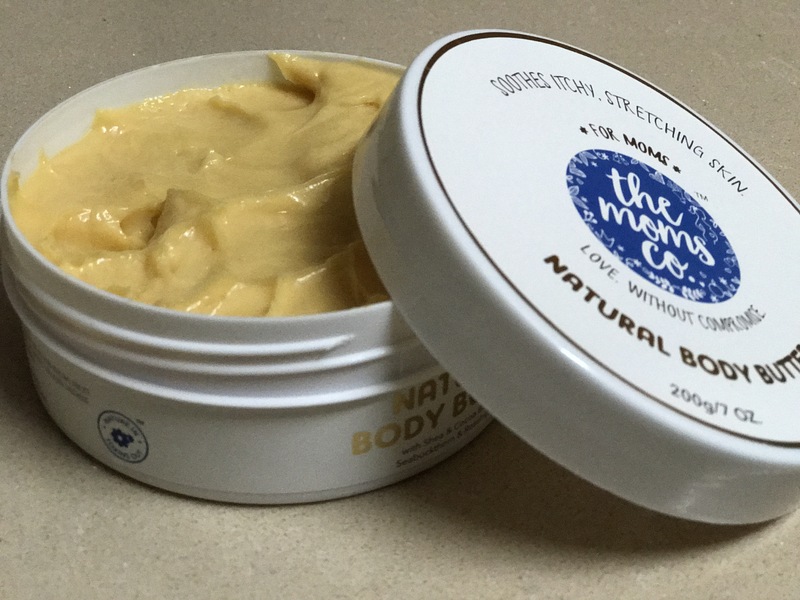 The natural body butter has a heavenly fragrance that apparently I’m hooked on to.The formula is very thick.It would prove to be great for stretch marks during pregnancy to ease those itchy times.But I’m afraid that the formula is way too thick and moisturized to be used in summers.Because even when i used it,it did relieve my dry skin but i ended up sweating a lot. Though it would be perfect for winters.The body butter contains cocoa and shea butter to increase the natural elasticity of your skin. My final verdict would definitely be a yes.The formula for body wash is excellent however the body butter would be of great use in winters. the awesome pointers you have documented at this time. similar to mine to understand way more regarding this matter. are so many options out there that I’m completelү confused ..